Good nutrition doesn’t just happen by accident. Every woman needs to look at her diet in order to eat the foods that best promote good health and well being. When it comes to eating, this list of super foods can do you a good deed by keeping your body healthy. Nothing makes more of an impact on ill health as a poor diet. Loss of energy, risk for chronic disease and weight gain are just a few of the detrimental effects of eating badly. So many people spend their lives eating sugary, fatty food and then regret it once they get sick, and sometimes it is just too late to do anything about it. Heart disease is the #1 killer of women. Belly fat increases risk for premature death in women. A diet filled with junk food increases risk for developing type 2 diabetes, where insulin resistance raises blood sugar levels and comes with its own long list of side effects. 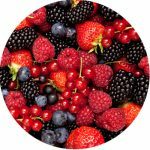 Berries Berries are not only high in necessary fiber but they contain antioxidants in the form of Ellagic acid and anthocyanins. Antioxidants help prevent cellular damage, including the type of cellular damage that leads to cancer formation. 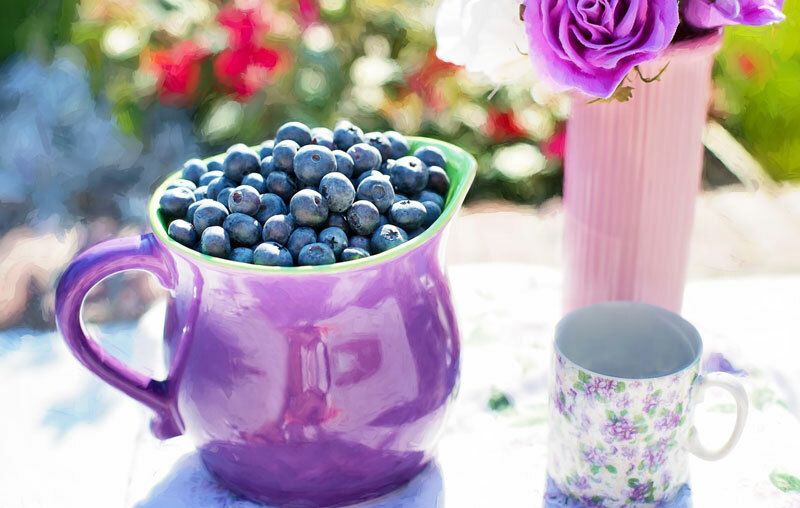 Berries can also help keep your mind sharp and your memory intact. One serving of berries can provide an entire day’s worth of recommended vitamin C.
Nuts These are good sources of unsaturated fats, which are good for your health. 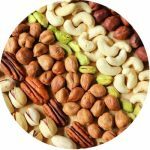 Just about any kind of nut is good for you but walnuts are considered the best—high in omega-3 fatty acids that are good for improving mood and heart health, an especially important consideration for women as heart disease is the #1 killer of women in the United States. Omega-3 fatty acids also reduce the bad LDL cholesterol and increase the amount of good HDL cholesterol. 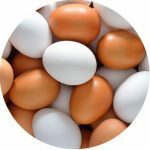 Eggs Eggs are high in protein and keep you fuller longer than other protein sources. Egg yolks also contain zeaxanthin and lutein, which are healthy antioxidants. These antioxidant sources are believed to delay the coming of macular degeneration, a leading cause of blindness in the aged population. Sweet potatoes Sweet potatoes are high in alpha and beta-carotene. These together form active vitamin A, which is good for your bones, eyes, and immune system. 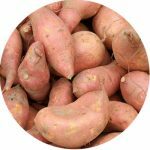 One sweet potato provides more than the maximum daily allowance of vitamin A along with healthy amounts of vitamins B6 and C, manganese, potassium, zeaxanthin, and lutein. 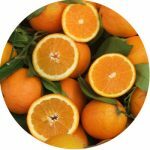 Oranges Oranges contain one of the best sources of vitamin C, which is used to make antibodies and white blood cells in the immune system. Oranges are high in antioxidants that protect the cells from oxygen free radicals that can damage cells. Whole oranges are high in fiber as well and contain a great deal of folate, which a large study showed to help women significantly reduce the risk of developing high blood pressure, a major contributing factor to heart attacks. 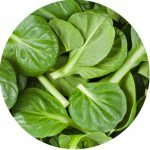 Spinach Spinach is high in vitamins A, C, and K and is rich in iron, calcium, fiber, magnesium, potassium, and vitamin E. It is a great source of folate, especially when eaten in its natural uncooked state. Broccoli This is an ultra-healthy green vegetable, which contains loads of vitamins A, C, K, and folate. 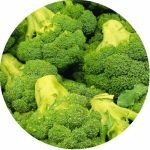 It also contains the cancer fighting isothiocyanates, Sulforaphane, which stimulates enzymes that detoxify the body. 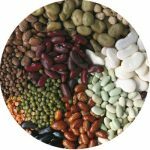 Beans Beans are high in iron and raise iron levels when paired with foods rich in vitamin C. This aids in the absorption of iron from the gut. Beans are also good sources of fiber, which lower cholesterol in the system. 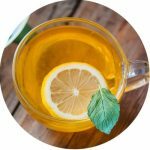 Tea Simply drinking more tea can reduce your chances of developing diabetes, certain cancers, and Alzheimer’s dementia. It also promotes healthy gums and teeth because it is rich in the antioxidants known as flavonoids. Drink it when it is freshly brewed for the best in antioxidant power. Tea can be consumed hot or cold—it has the same effects either way. Vitamin C in a squeezed lemon will help preserve the flavonoids for a longer period of time. Yogurt It has been found that those cultures who eat a lot of yogurt also live longer lives. 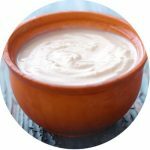 Yogurt is high in probiotics, which are the healthy forms of bacteria that can colonize the gut and overgrow the bad bacteria that can live there. Good bacteria promote healthy digestion and help certain foods turn into vitamins and nutrients we need for good health. Yogurt is a good source of calcium so you can prevent or correct osteoporosis. This food is high in potassium, riboflavin, zinc, protein, vitamin B12, and phosphorus. What’s best about these foods is that they are ordinary foods that you can get at any grocery store. 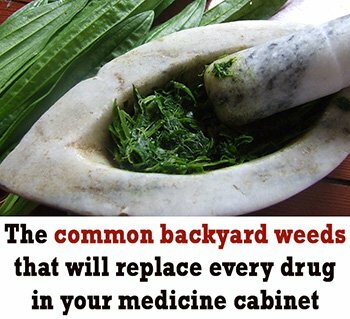 You can put them in recipes or eat them alone as great sources of healthful nutrition. Please Do Not Copy Content!